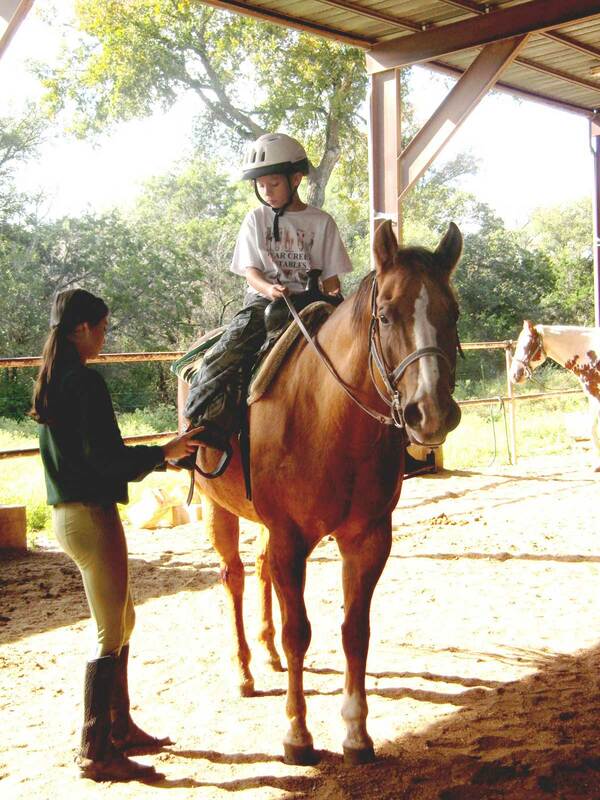 Bear Creek offers individualized riding programs for boys and girls, ages 7 to 16. 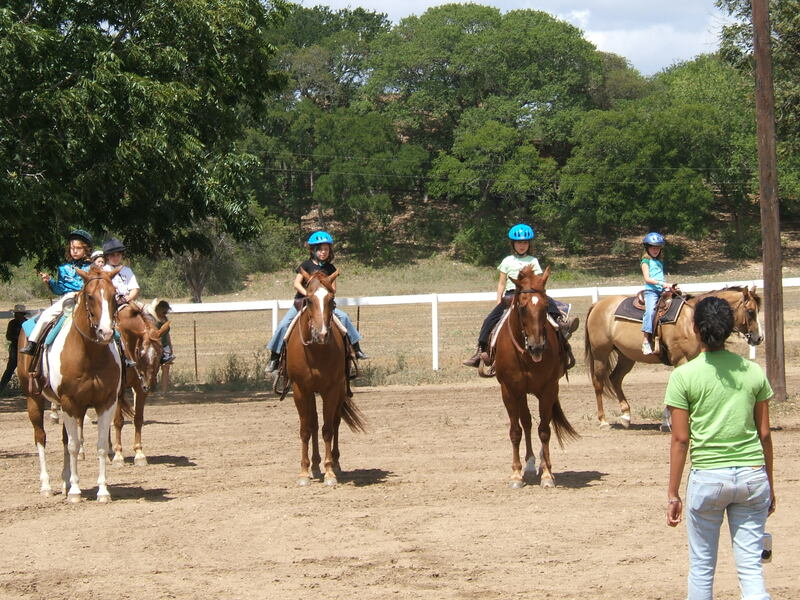 These programs are designed to meet the growing interest of all campers, whether they are beginners, intermediate, or advanced riders. Instruction will be given by Linda Dovers and her experienced staff. 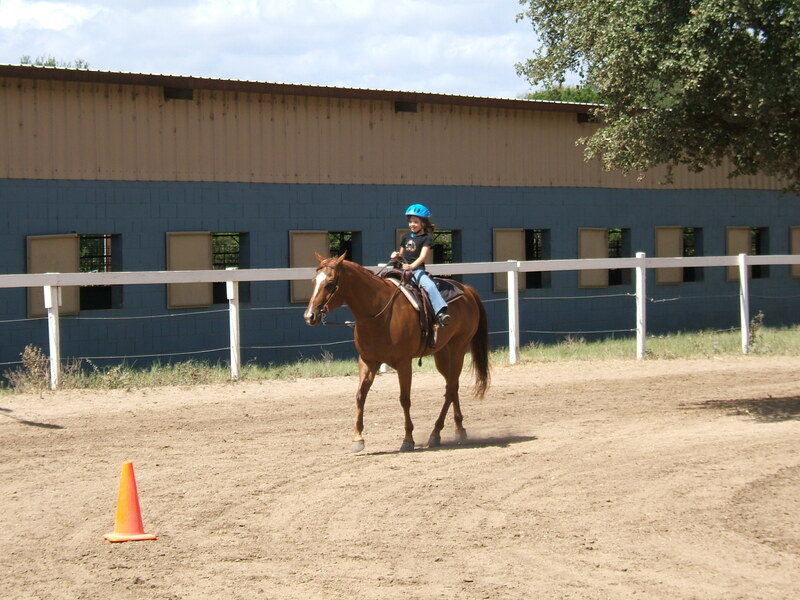 Through arena classes, campers receive practical training in the fundamentals of how to handle a horse. 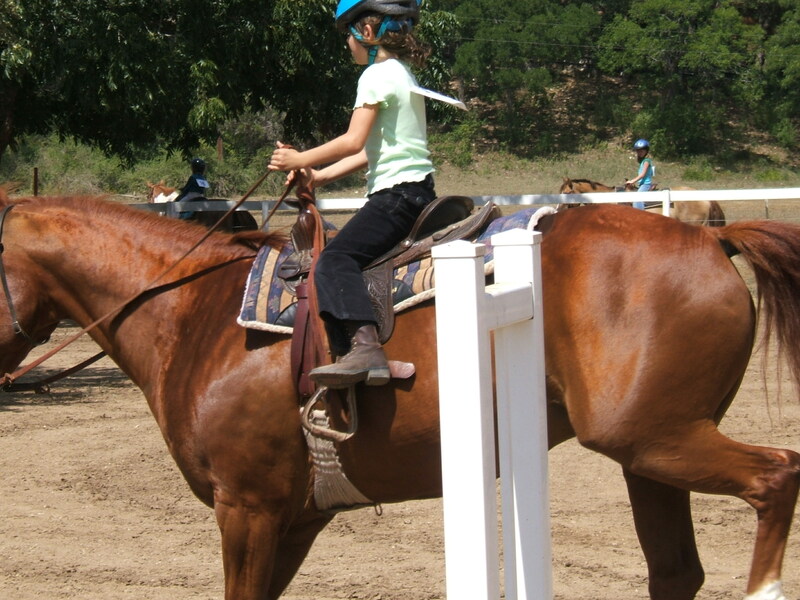 As they gain more confidence and increase their understanding of riding, campers can advance in a number of different riding skills. In determining programs to best suit each camper, parents are asked to give their input regarding their child’s skill level. Campers are also evaluated by our staff during the first riding session. Then, under the supervision of a competent instructor, each camper is placed in an appropriate class for further learning. 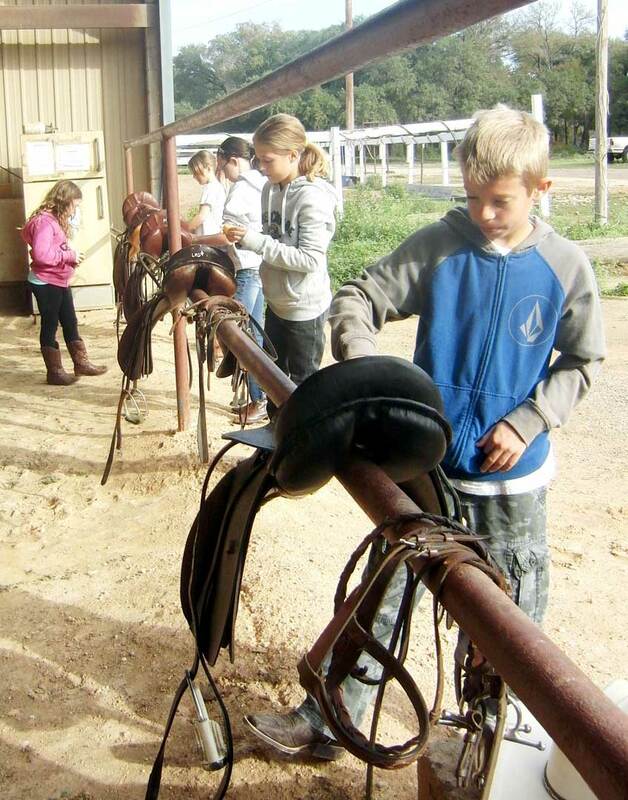 Besides riding, campers will learn the basics of horse care and safety. 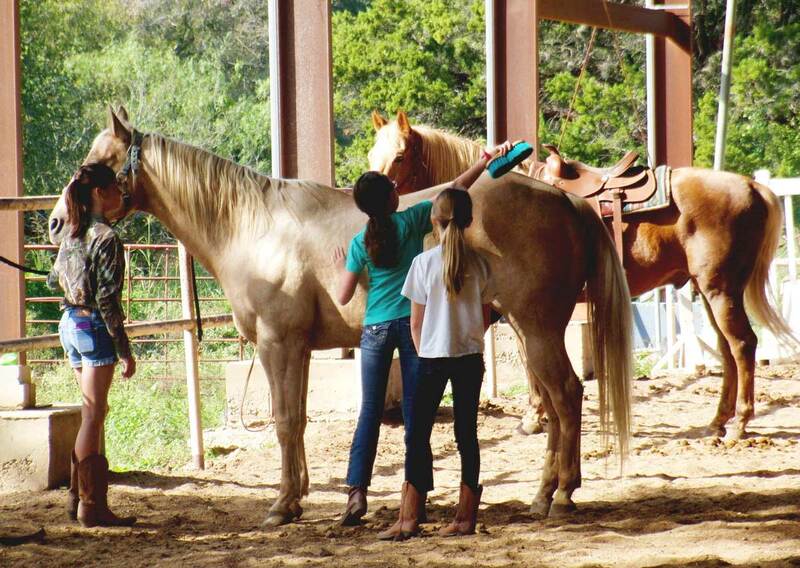 They will participate in grooming, saddling, clipping, bathing, and other horse related activities. 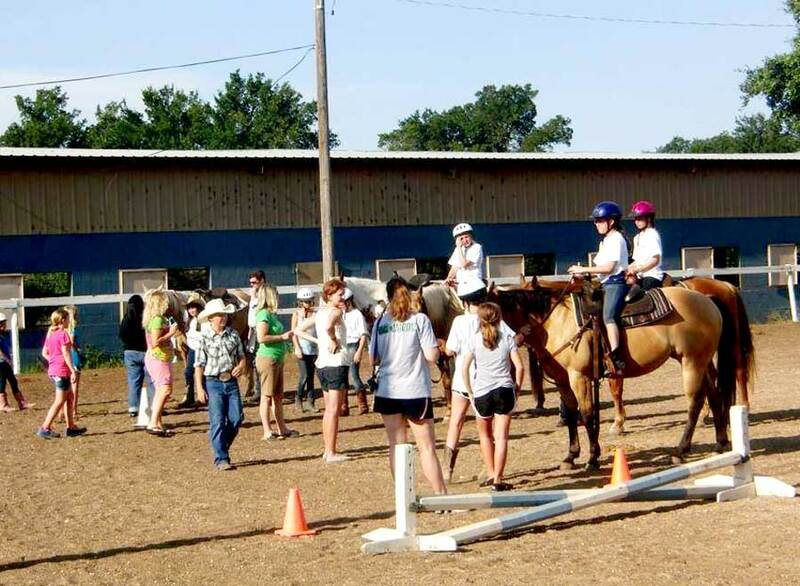 When not mounted or involved with horse care, campers will be participating in arts and crafts, nature walks, and games. Both Western and English riding lesssons are held. In addition, one day each week there will be a guided ride (weather permitting).